It's been a long few wintry month and a half and cabin fever seems to be getting the best of me. While staring out the window at the snow, I started day dreaming about making a 9" disc grinder. Soon parts started to arrive...Hopefully spring will too. The KBAC-27D is a Variable Frequency Drive (VFD) that can control the speed and rotation of a three phase motor up to 2 horsepower, rated 208/230 VAC. This VFD has an advantage when used in the gritty environment of a belt grinder because it's sealed up and dust isn't allowed to get inside. 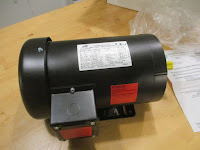 The motor is an Ironhorse 1.5 horsepower 4 pole (1725 RPM) three phase unit from Automation Direct. 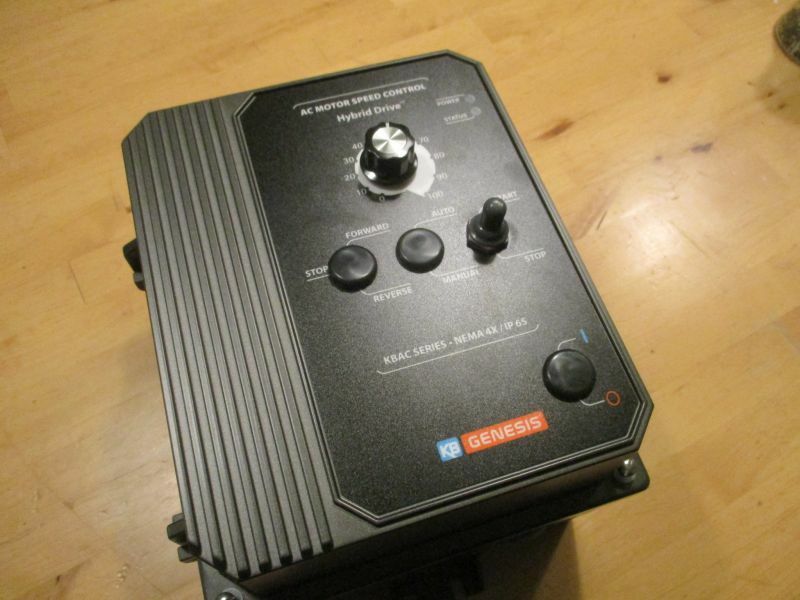 Similar to the one I used in my Sayber OSG but this one runs at half the speed. The 9" disc is machined from a solid aluminum billet. I ordered this from USAKnifemaker.com. It is a 9" disc that has a 1° bevel on the face, so really it's a tiny bit like a cone. This bevel is to help prevent the knife that you are grinding from catching the opposite side of the disc and flinging it upwards. Along with the basic frame details, I will be putting up some posts on how to wire the KBAC for forward and reverse and installing the main power switch. What perfect timing. I've just purchased the parts to make my own and have been working on a design to be a vertical/horizontal version. I can't wait to see yours!